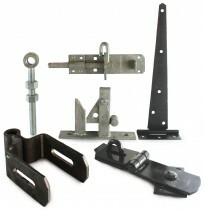 A wide range of gate, shed and fence hardware including all types of gate hinge, field gate products, cabin hooks, thumb & ring latches, hasps & staples, gate catches, door & gate springs and bolts. 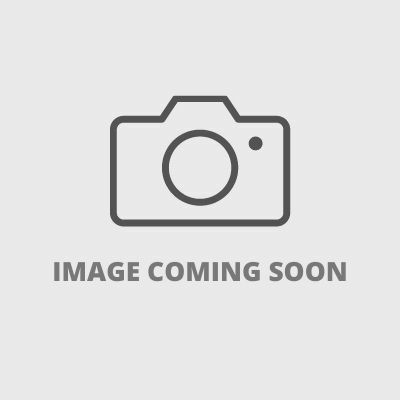 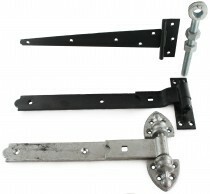 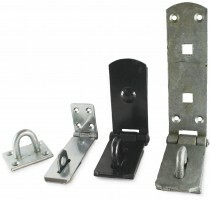 We have an extensive range of gate and shed hinges from small 6'' t hinges for light duty shed doors, to large 3' hook and bank hinges for heavy stable doors. 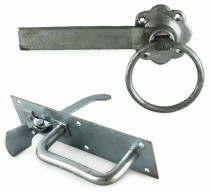 Our gate hardware range is available in three finishes - zinc, black and galvanised, galvanised being the best plating in terms of rust resistance.